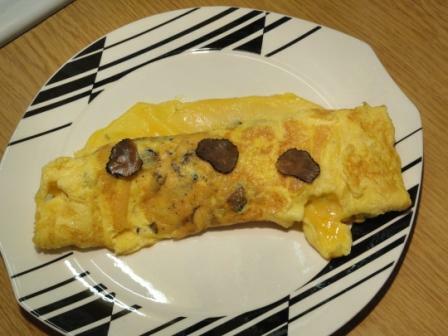 there are many perfect ways of making an omelette. I use two eggs per person, 1 tablespoon of water per 2 eggs and cook them in butter. I season the eggs before cooking. For this recipe I used some of the left over liquid from rehydrating mushrooms and I used a small dash of truffle oil with the butter. Please can I have one now?